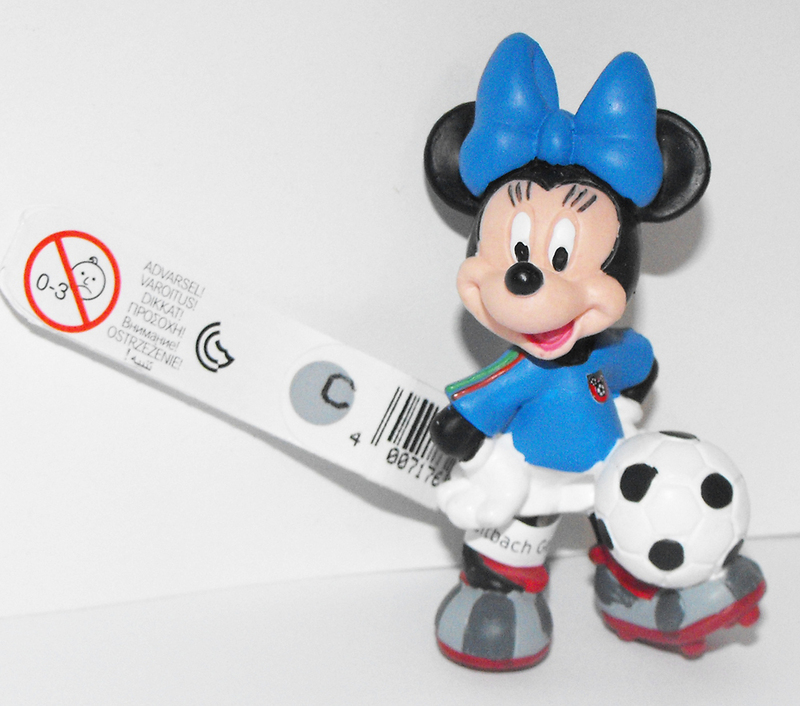 Minnie Mouse (in blue uniform) Playing Soccer Plastic Figurine. This Disney Sports figure is about 2 inches tall and made of plastic. Brand new and never used. This figurine comes loose without any packaging but comes with Bullyland tag.